A former Barclays banker said he pretended to be busy to avoid appearing panicked while negotiating a £2 billion ($2.6 billion) investment from Qatar during the 2008 financial crisis that saved the bank from a government bailout. Roger Jenkins, the one-time chairman of the Middle Eastern banking unit, Tom Kalaris, a former wealth division CEO and Richard Boath, ex-European divisional head, are charged with conspiracy to commit fraud. Barclays received £12 billion in emergency funds from mainly Gulf investors during the 2008 crisis. Jenkins, the head of Barclays Middle East, made Qatar’s then-prime minister wait during a June 2008 meeting so he would not look desperate, according to a phone call played for London jurors at a fraud trial, Bloomberg reported. 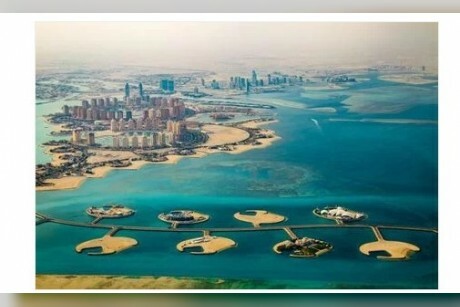 The banker told Sheikh Hamad bin Jassim Al-Thani that he would have to leave Qatar’s capital for other meetings. He and three other former Barclays executives are charged with conspiring to defraud investors by not disclosing £322 million in secret fees that were paid to the Qataris, and Sheikh Hamad, as part of the investment that saved the bank from nationalization, the newswire reported. “I pretended that I had to go back to Dubai for meetings so that I didn’t sleep overnight waiting for the prime minister in Doha,” Jenkins said during a recorded telephone call with Boath. The trial began last month, and is expected to last between four and six months. It is the first UK trial of senior bankers connected with the financial crisis. 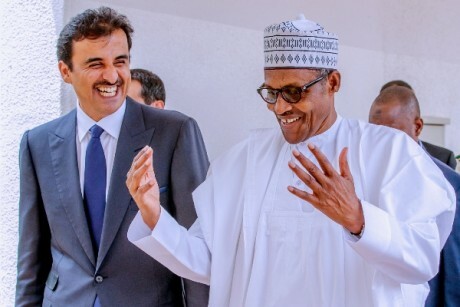 Receiving the Emir of Qatar, Sheikh Tamim bin Hamad Al-thani in Aso Villa on Tuesday in Abuja, Buhari said that the recharge of Lake Chad with water from the Congo Basin, so as to grant succour to the more than 30 million people adversely affected by the shrinkage of the lake over the years was of great importance to Nigeria and the countries within the Lake Chad Basin. In January last year, after four years of litigation, a former Oracle sales rep in Qatar won a lawsuit against the database giant to collect unpaid sales commission, The Register reported.